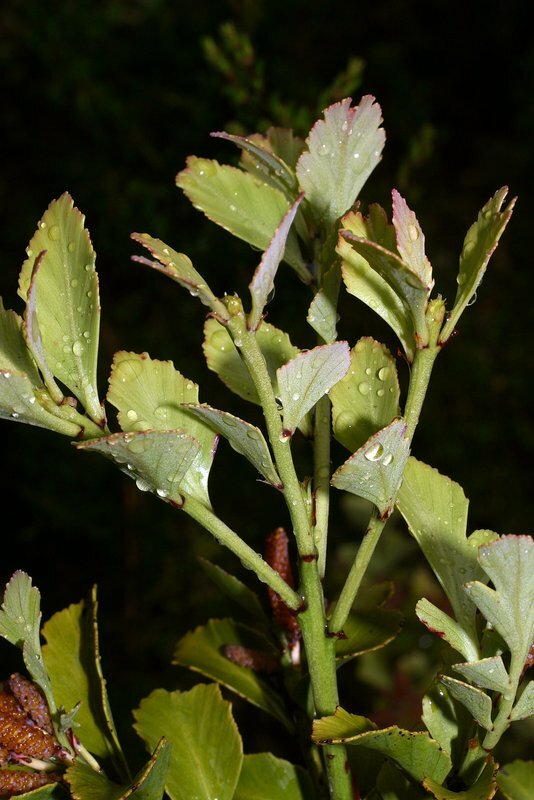 Mature foliage consists of irregularly-arranged phylloclades. 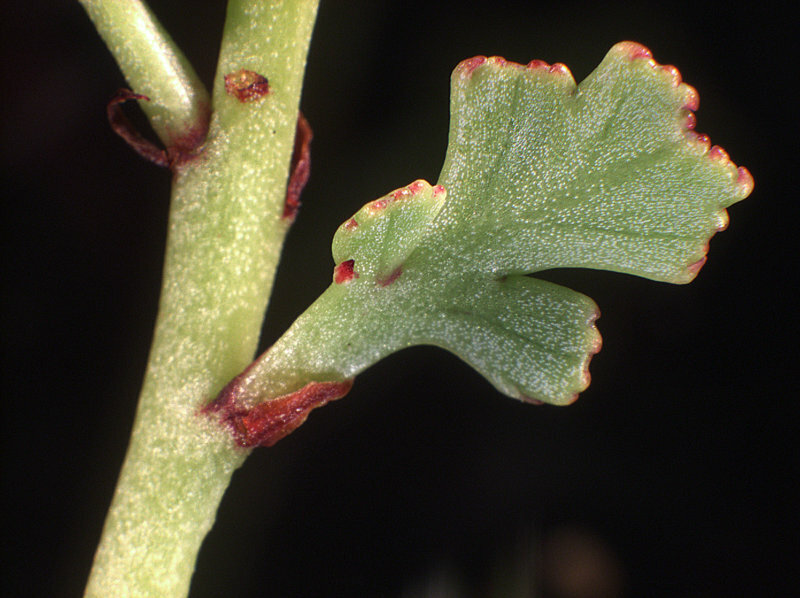 Juvenile with needle-shaped leaves and early phylloclades. 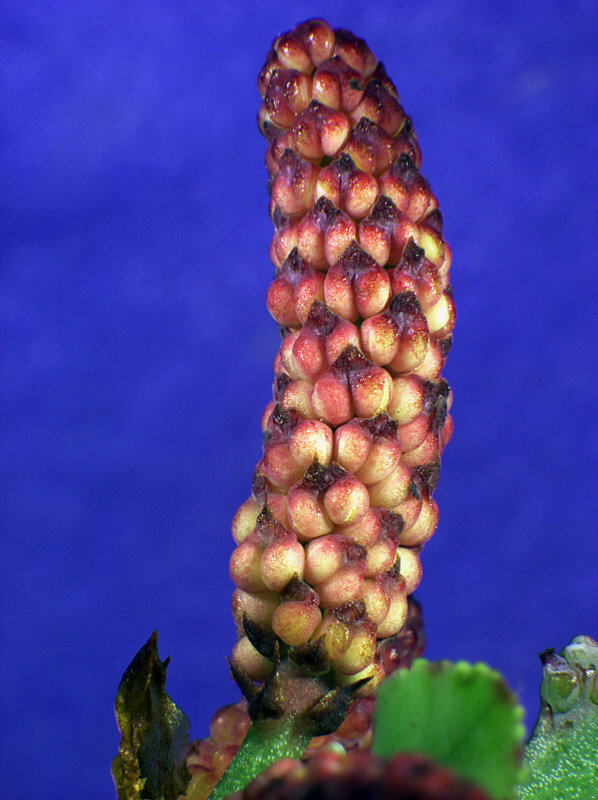 Ovule cone. 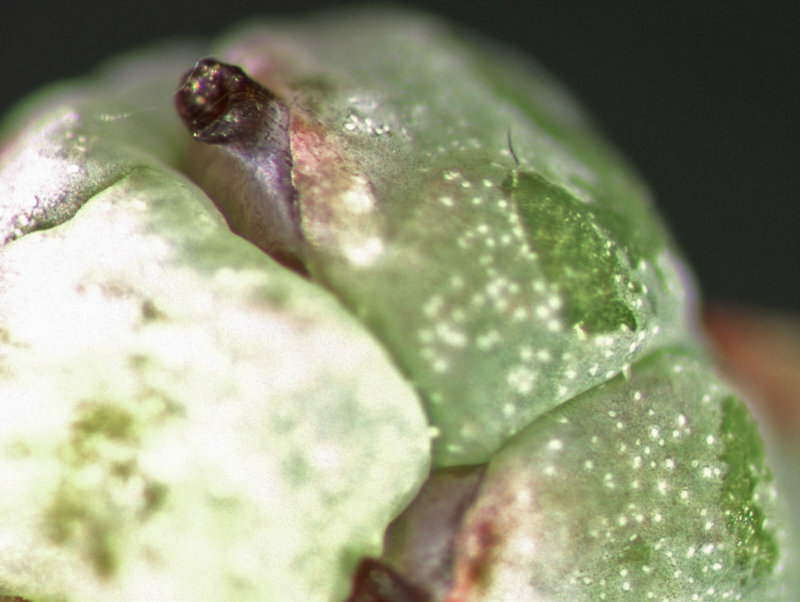 Ovules are borne on fleshy scales. 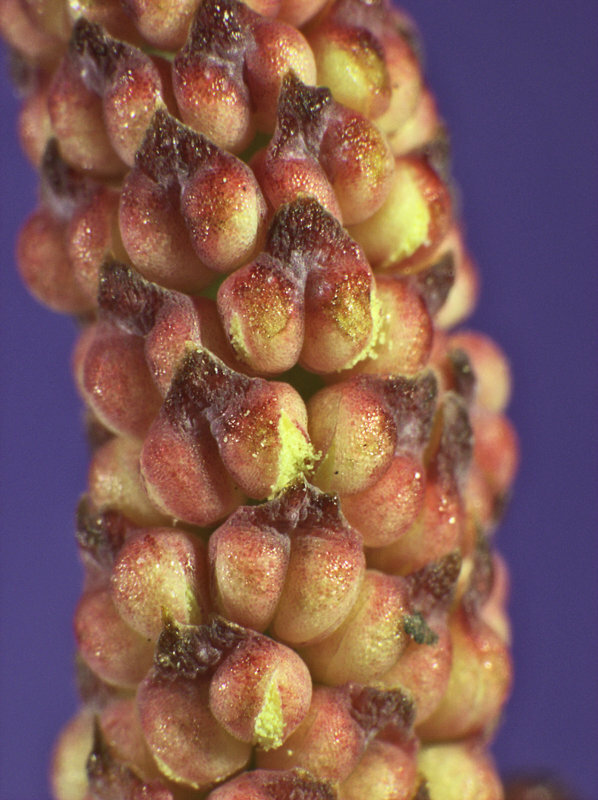 Protruding from each ovule is a tubular-like pore (purple) that allows pollen grains to reach the ovule to the inside. 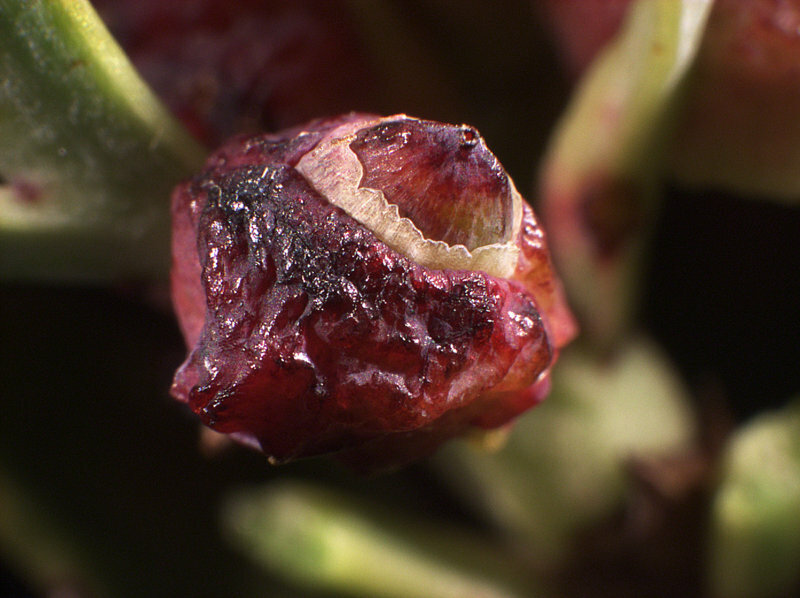 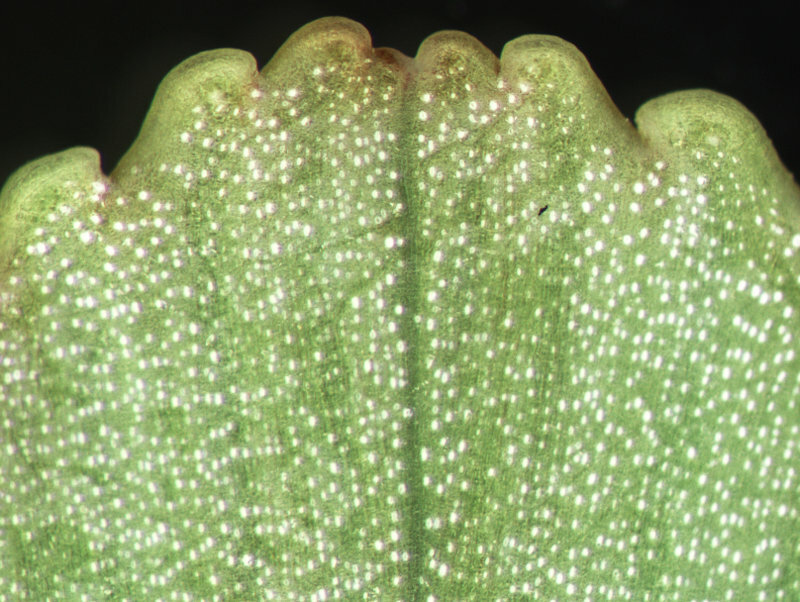 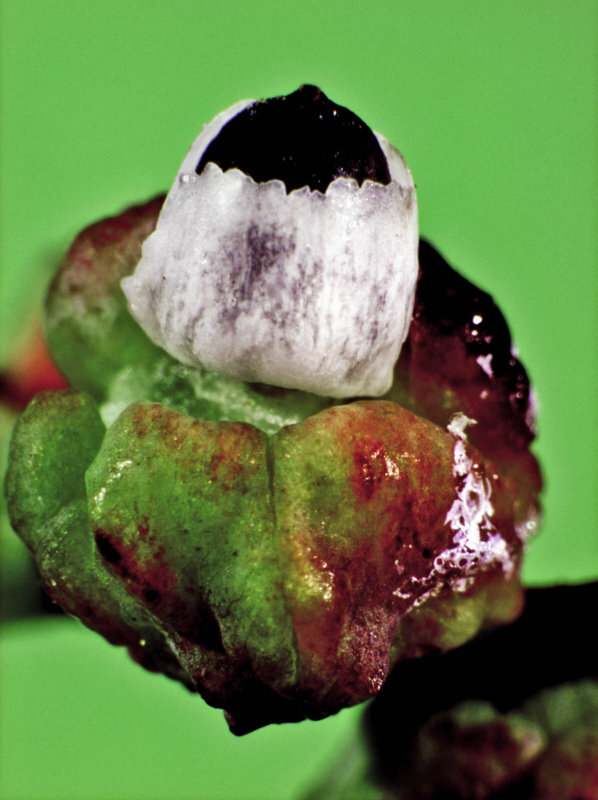 After pollination the ovules and the fleshy scales enlarge and change colour. 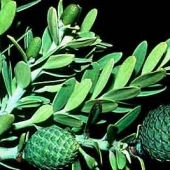 Phyllocladus alpinus is a many-branched shrub or small tree. 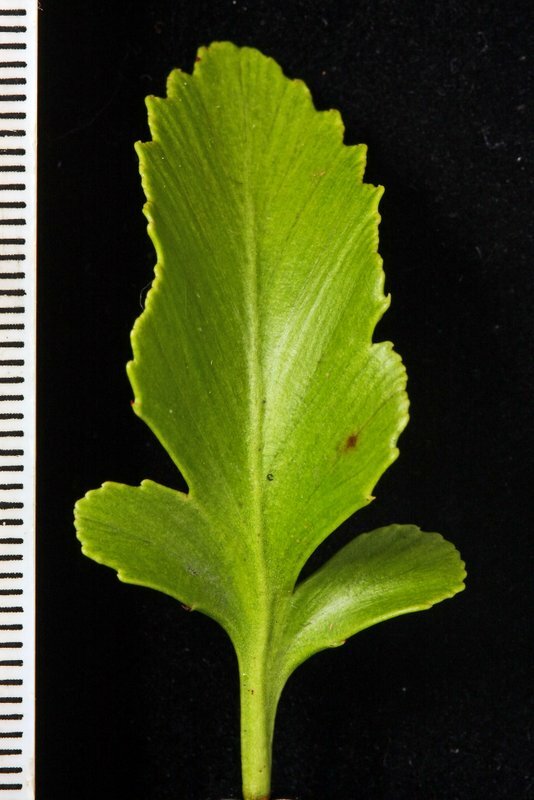 Seedling plants have narrow, flattened needle-like leaves. 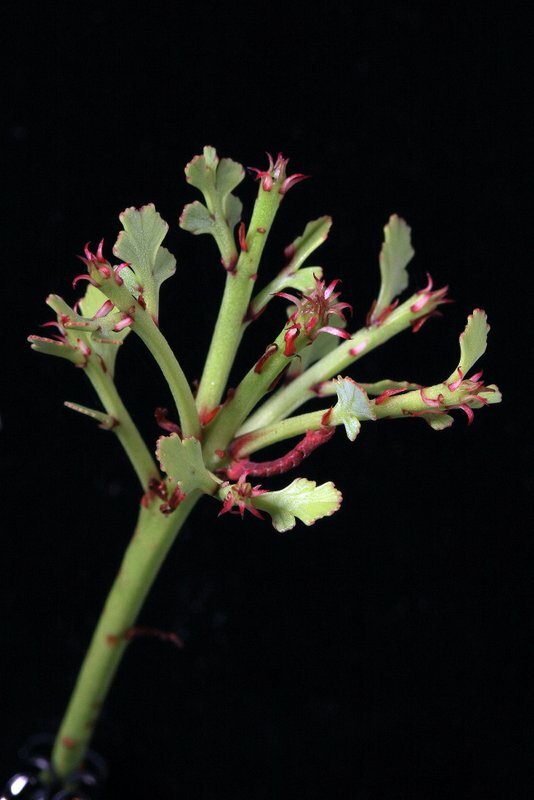 Adult plants have flattened photosynthetic leaf-like stems (phylloclades). 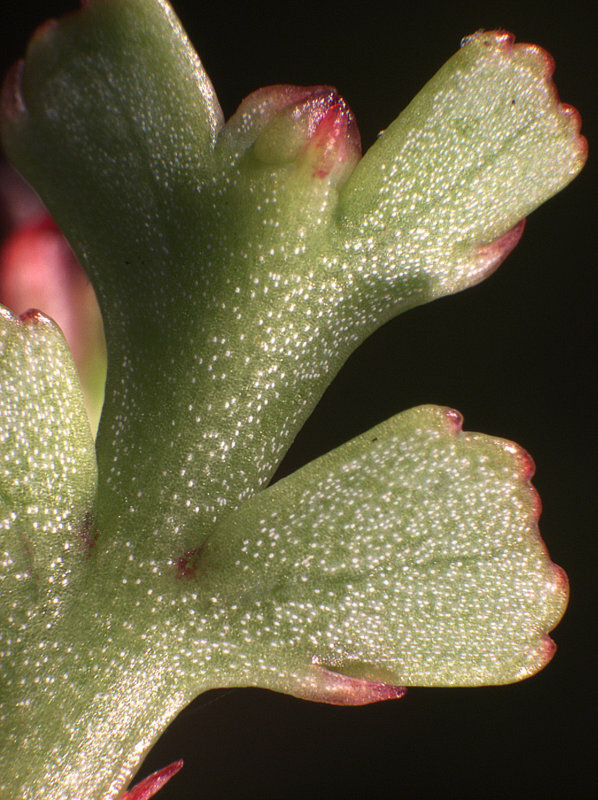 The thick phylloclades are undivided, usually have a waxy grey-blue covering and margins are toothed to lobed. 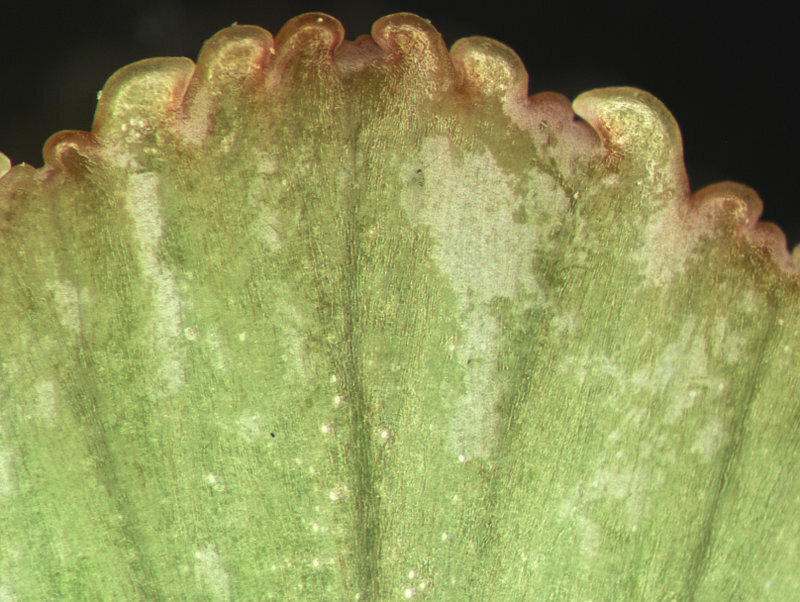 Minute scale-like leaves are formed on segment margins. 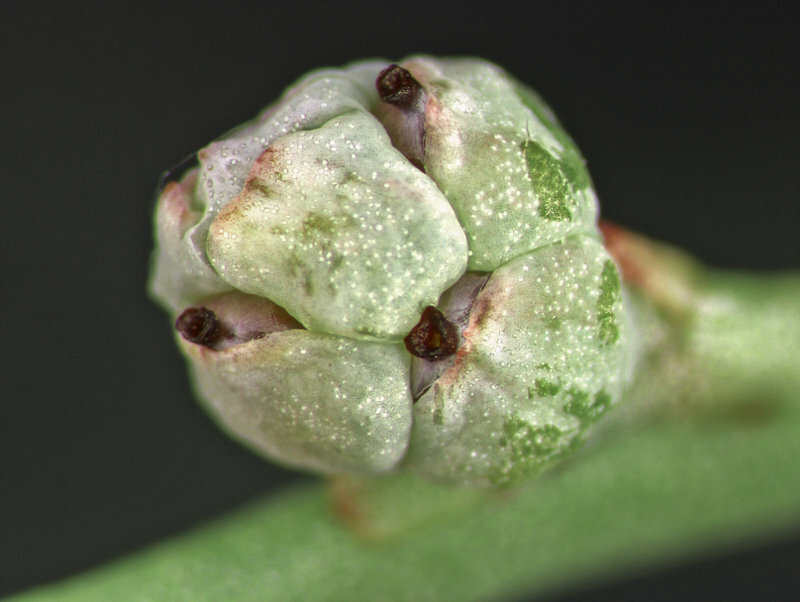 Small, fleshy ovule cones are formed. 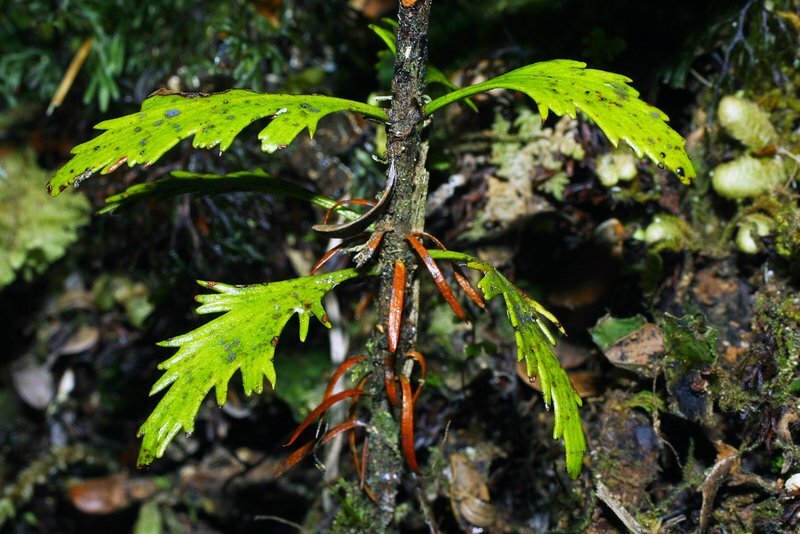 An endemic species found at higher elevations from the central North Island to lower elevations on the South Island. 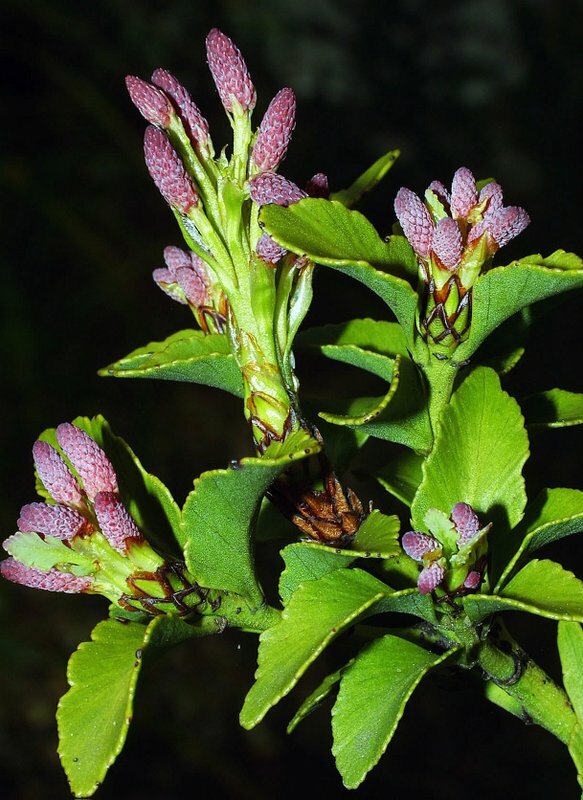 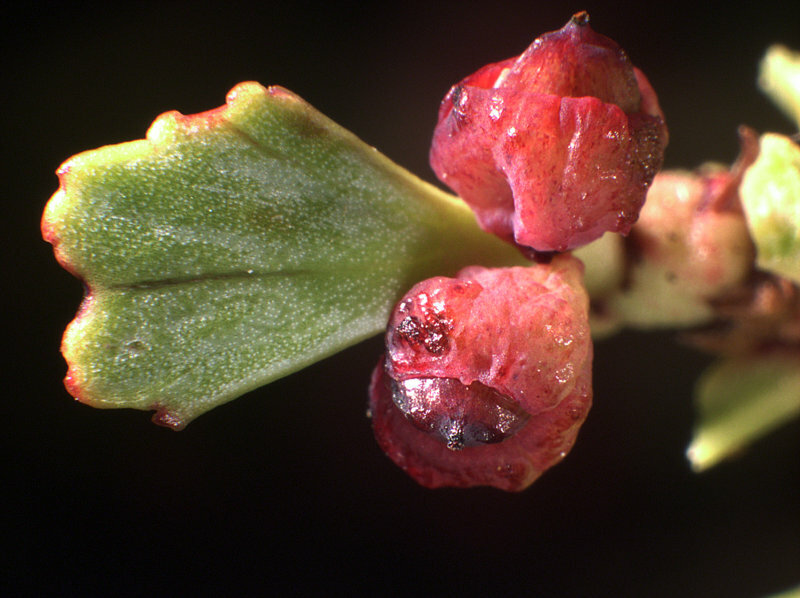 Phyllocladus is a small genus with three endemic species, one species in Tasmania and one species found from New Guinea to Borneo & the Philippines. 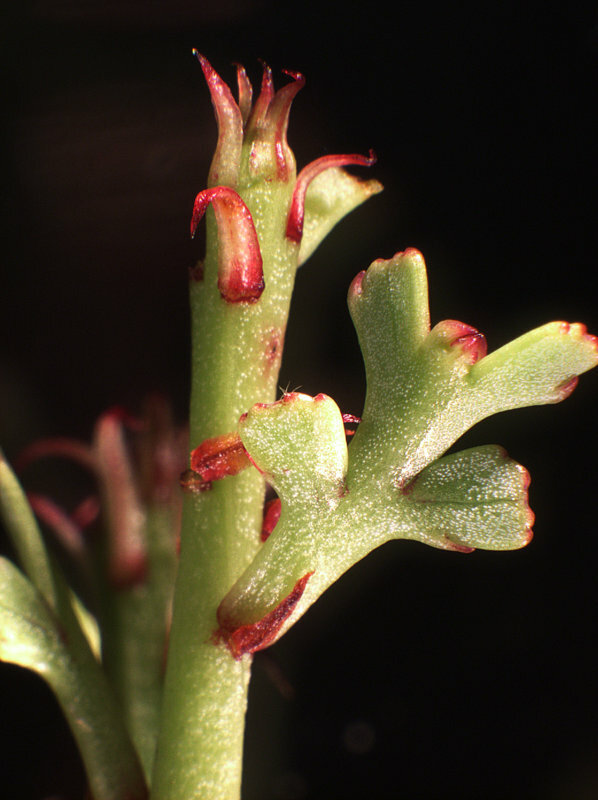 It is sometimes placed in the Podocarpaceae.